As Singapore restructures its economy to rely less on foreign labour and push for greater productivity and upskilling its workers, the local jobs market has come under some pressure. 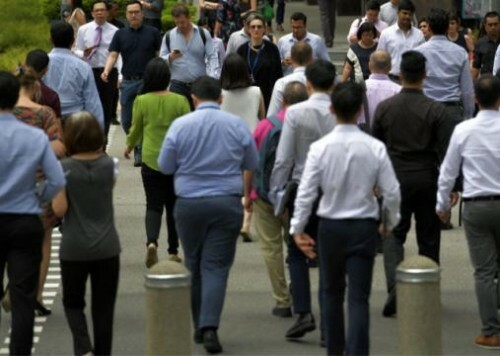 In 2016, Singapore saw lower job vacancies and rising unemployment, as job seekers outnumbered job openings for the first time four years. At the same time, resident and citizen unemployment rates rose to its highest levels this decade and stood at 3.0 per cent and 3.1 per cent respectively. The number of redundancies has been on an uptrend since 2010, with financial services making up 12 per cent of the total number of people laid off in 2016. Overall, people who were let go in the year also took a longer time to re-enter the jobs market, with only 48 per cent finding re-employment in the year. In 2017, our GDP growth is expected to stay modest, between the 1 per cent and 3 per cent mark. Add rising geopolitical uncertainties, inward looking trade policies globally and a cooling Chinese market, and we can probably predict similar weakness in the local jobs market for the same this year. Nevertheless, with Singapore being a financial hub in the region and the industry continuing to enjoy a prestigious label, people here still want to find jobs in banks and finance-related firms. And if you want to differentiate yourself from the thousands of hopefuls out there, you need to be able to offer your employers some relevant skills that others may not have. Here's our take on what we see as the four most in-demand skills that are sure to improve your prospects of landing a job in the financial industry. Underpinned by the fintech wave, banking and finance jobs in this area has seen a sharp rise in demand and status. One thing you have to differentiate is traditional fintech jobs, older fintech jobs and modern fintech jobs. Just to underscore this point, in 2016, the most in-demand Skills Future course were those focused on Information, Communication and Technology. You do not want to be stuck developing a company's back office operations or infrastructure technology (IT). These jobs are already being farmed out to cheaper locations in Asia and even some part of Europe, and you'd be putting yourself on the chopping block. Applications developers and creators are also another field of fintech that is getting old, and rapidly going the way helpdesk support has gone in Singapore and other major finance hubs. Where you want to be making a difference is in big data. With the rise of fintech, investment and retail banks as well as finance-related companies are now well onboard the bandwagon to play catch up to a real threat. It is common for such candidates to have computer science or mathematics background. However, just collecting large swathes of data alone is useless, the best candidates have to complement this with great business acumen to piece together useful and actionable information that will make a difference for a company's operations and profitability. Since the Global Financial Crisis in 2008, compliance and risk has played a greater role in Singapore's, and indeed, the world's banking and finance systems. This regulatory scrutiny has been stepped up in recent times due to the spate of money laundering and embezzlement scandal involving 1MDB and private Swiss banks Falcon and BSI. 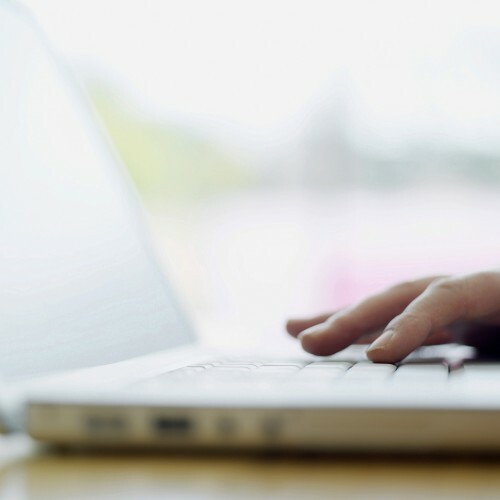 With all the banking and finance-related institutions having to meet with greater regulatory requirements, people with a background in compliance will see a rise in demand for their skill set. In addition, with greater importance in this function, new roles in training, management and, of course, digitizing and automating these functions (think cyber security) will also be created within the industry. You've probably heard of the term "selling ice to an Eskimo"? The fact that this term is so widely known underlined the importance of sales to companies. Sales is the lifeblood of all companies, without it, all the other functions do not matter. Being good at sales involves the coming together of a host of vital human skills. You have to be great at communicating and getting your message across, you need to have high emotional quotient, good at managing relationships and be able to read verbal and body cues, you need to be diligent and highly knowledgeable of your product as well a bunch of other intuitive and non-intuitive skills. With the right drive and combination of these skills, you could easily land yourself in a front office role. Another way to look at it is that salespeople are sometimes paid via commissions. This means the higher the commissions they earn, the bigger the reward for the banks. In the end, the banks take relatively lower risks to hire a salesperson on a generally low base wage but with high commissions structure. Everything is going digital, from collecting data to providing operational support to improving security processes. So, it makes sense for banks and finance-related firms to tap on this vast network to interact with their customers and community as well. Channels such as social media platforms including Facebook, LinkedIn, Instagram and Snapchat offers companies a casual setting to engage its communities while more formal channels such as its website enables it to deliver its messages. Even in the spectrum of public relations and marketing, digital channels has been gaining importance. By just looking at the revenue and profitability of digital media giants Facebook and Alphabet, Google's parent company, we can see that advertising dollars is gushing into the field. Just to give you some bearings, Facebook's net profit spiked over 177 per cent to US$10.2 billion in 2016, while Alphabet's net profit rose more than 19.1 per cent to US$19.5 billion. In Singapore, banks and finance-related institutions are already seeing the benefits of being on digital platforms and building their brands, disseminating their messages and engaging the people closest to their stakeholders. And this trend is here to stay and would probably evolve into more sophisticated forms in the future. At the end of the day, whether you're doing something that's about to be shifted overseas or in the up-and-coming role, you have to have passion for what you're doing. You have to be good at what you do. This will ensure you never go obsolete even as your functions are made redundant by your current employers. If your role is shifted overseas, you could either follow it to the foreign country to manage setting up the new function, go to another company that still has the function internally or even join an outsourcing firm that specializes in the field you are in. On the flipside, even if you are in an up-and-coming field but do not have the drive to be a good employee, you will only ever achieve mediocrity, even if you do have the shelter of holding a job, simply because you lucked out in a thriving field. See more industry-related job postings here.